We have a new subscription to Nexis (replacing the previous subscription to Factiva). • Company and industry information from Extel Cards, Hoover’s profiles, ICC Financial Analysis Reports and Worldscope. • Economic and political profiles for countries. Nexis is available from the A-Z list of databases. 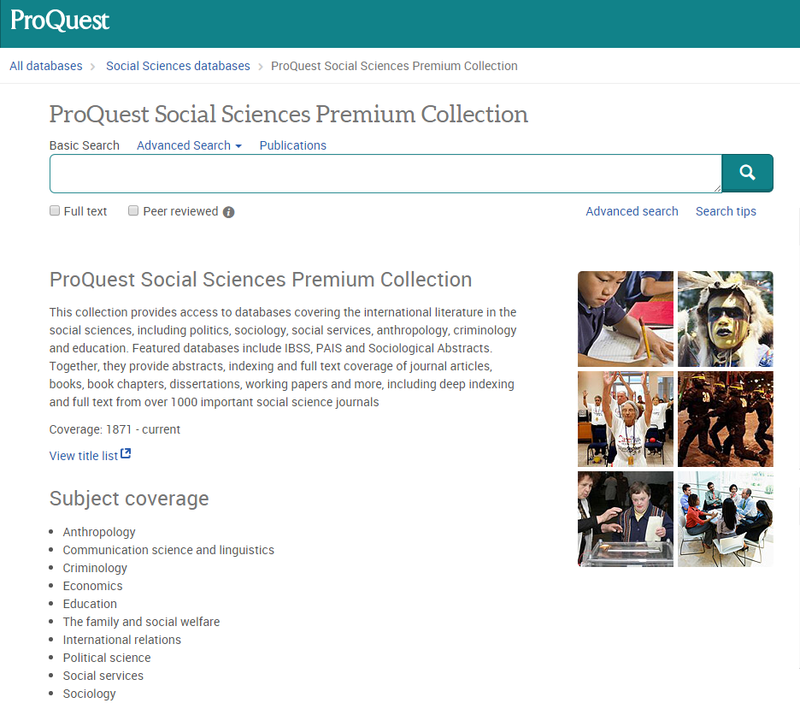 Proquest databases are listed in the A-Z list of databases.